The City of Norwich was founded in 1659 and the friendship formed with the local Mohegan Tribe allowed the Norwich settlers to purchase a tract of land 9 miles square. 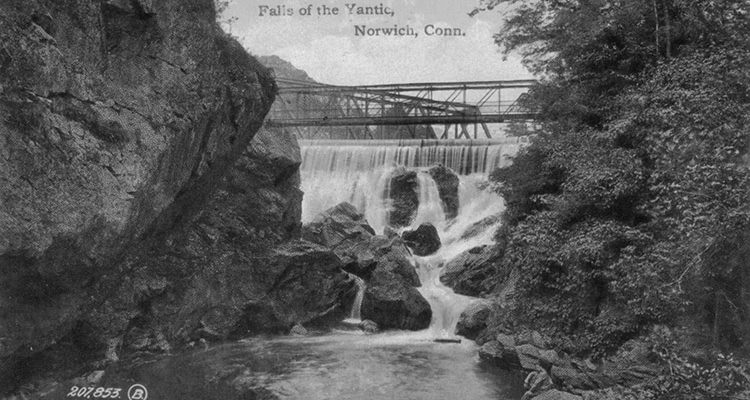 Norwich is filled with significant historical places relating to the Mohegan Tribe such as Uncas Leap, the Mohegan Burial Ground, and the Miantonomo Monument is still extant today; hidden gems of the untold stories of how the city of Norwich was formed. Norwich was one of the largest cities in the Colonies during the 18th century and a center of wealth, commerce and influence. Norwich is the home to important historic figures that played a direct role in the Revolutionary War. 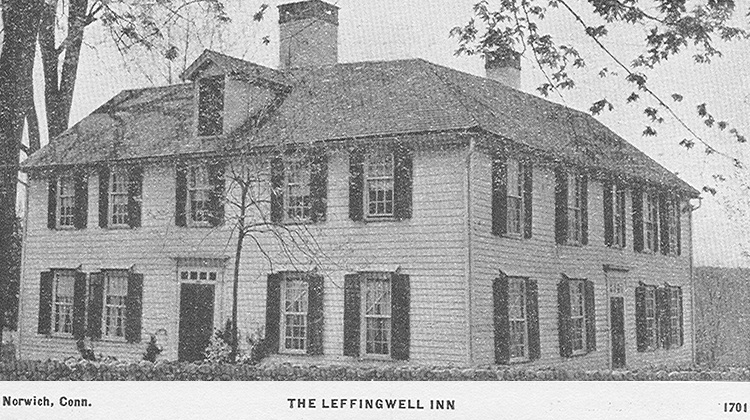 These include Christopher Leffingwell – a wealthy purveyor of provisions for the Continental Army; Samuel Huntington – signer of the Declaration of Independence, President of the U. S. under the Articles of Confederation and Governor of Connecticut; and perhaps most notably, Benedict Arnold, one of this country’s most infamous and internationally recognized traitors, who was a talented commander and was Washington’s trusted General in the Continental Army until 1779. In addition, Norwich has a rich, diverse and largely untold African American story. David Ruggles, a native from Norwich, participated in the Underground Railroad and the National Register Historic District Jail Hill Section of Norwich was home to many notable African-Americans. During the Industrial Era, the mills in Greeneville and Taftville attracted many workers, including immigrant laborers who stayed and made Norwich home. The impressive Ponemah Mill towers over the small village of Taftville and is a testament to Norwich’s significant impact on the lucrative textile industry. Today, The City of Norwich is the largest city in Eastern, CT with over 40,000 residents and its rich and diverse history showcases it’s impact and contribution to the formation of the United States of America.